Last year the millionth electric vehicle rolled out of the global salesroom. By next year, that number is tipped to quadruple to more than 4.5 million. At the same time, multinational pharmaceutical firms are working on a pipeline of drugs that have the potential to ease the suffering for the estimated 44 million known sufferers of Alzheimer’s disease in the world. Alongside this, the industrial demand for robots—devices that take care of the jobs that we find dull, repetitive and dangerous—is increasing at more than 10 per cent a year. 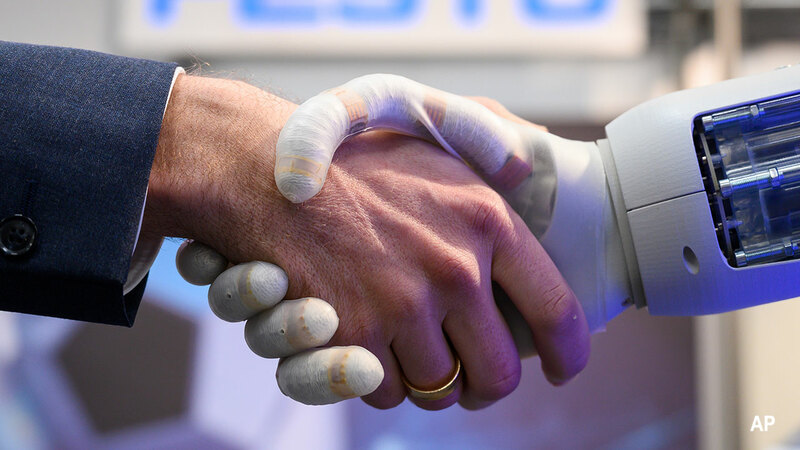 Together, these three themes—Energy & Environmental Systems; Medicine & Neuroscience; and Robotics—are set for exponential growth in coming years. In part two of our series, we examine the changes taking place in these areas and identify the most undervalued leader in the field. The Morningstar Exponential Technologies Index tracks companies across sectors in the early stages of creating or advancing these technologies. 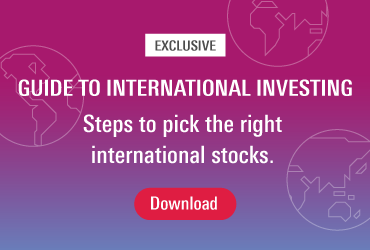 The index features 200 names—some of which are trading at discounts of up to 35 per cent—identified by Morningstar’s equity research team, companies that are positioned to experience meaningful economic benefits as a user or producer of promising technologies. Leaders in the respective themes are often beneficiaries of the network effect, boast cost advantages, and maintain powerful brands that block competition. They’re gatekeepers with extraordinary influence because of the way they can define processes and/or control resources. Leaders are expected to have significantly more exposure to a given theme, and, as a result, should capture disproportionate economic benefits compared to other firms. Companies can be leaders in more than one theme. This growth theme involves the exploration of renewable energy sources—including solar, wind, water, and batteries. As organisations devise processes to help reduce pollution and increase operating efficiency, new avenues for technological advancement across sectors will open up. Renewable power sources have reached cost parity with fossil fuels, according to Morningstar equity strategists Travis Miller and Seth Goldstein. “With lower operating costs, there is a strong business case to be made for building a renewable power plant,” they say. And government enthusiasm and tax benefits are bolstering the case. 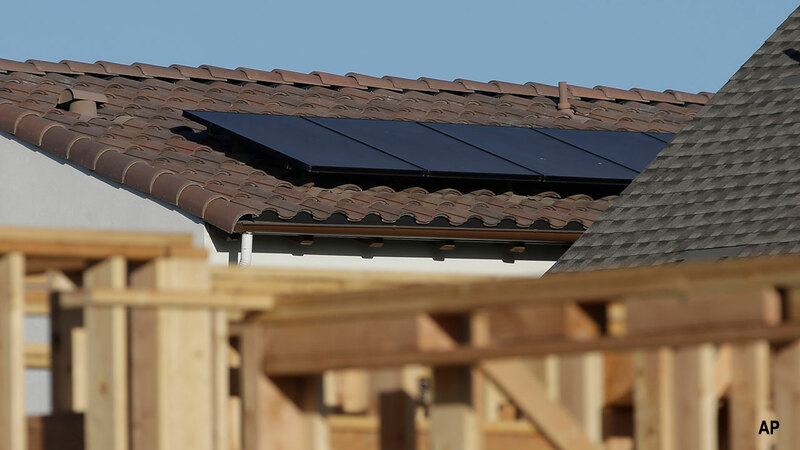 In California for instance, there is a push to target 100 per cent renewable energy by 2045, which would put considerable pressure on traditional power providers. For instance, First Solar—the world’s largest manufacturer of thin-film solar modules, which convert sunlight into electricity as one company—is tipped to consolidate its lead. This is despite the growing competition as new entrants seek to meet the growing demand for solar energy—both subsidised and unsubsidised. The electric vehicles market is also set to benefit as battery life grows and recharging times diminish. Last year, global sales of new electric vehicles passed a million units, according to figures compiled by McKinsey & Company, a management consulting firm. Under the current growth trajectory, electric vehicle producers could almost quadruple that amount by 2020, moving 4.5 million units, about 5 per cent of the overall global light-vehicle market. Such advances are tipped to push consumers away from internal combustion engine modes of transport. Among the chief beneficiaries of this movement will be lithium producers, according to Miller and Goldstein, who forecast lithium demand to grow “three to four times 2017 levels over the next decade, well beyond consensus”. Key players are Albemarle, the world’s largest lithium producer, and Chilean producer Sociedad Quimica Y Minera de Chile. From a valuation standpoint, all three lithium producers we cover are trading at a discount to our fair value estimates. We view SQM and Albemarle as our top picks as they trade at price/fair value ratios of 0.61 and 0.67, respectively. Livent is still attractive but currently trades at a price/fair value ratio of 0.75. Regardless, all three narrow-moat stocks are trading in 4-star territory. Our bullish long-term outlook assumes that lithium prices will recover. Additionally, we assume that the attractive unit costs offered by Albemarle and SQM in both carbonate and hydroxide production from geologically advantaged resources will persist. Additionally, we emphasize to investors that there will continue to be low-quality lithium volumes sold in the market below our price forecast. However, we do not think these volumes are indicative of battery-quality lithium prices. The lower quality product does not meet battery specifications and must be further refined, which comes at an additional cost. Sciences such as neurochemistry and experimental psychology deal with the nervous system and the brain. Key advances in unlocking the genome have created an infrastructure of biomarkers, while shifts in biotechnology that can alter the immune system are changing the way diseases are treated. Pharmaceutical and biotech companies typically have wide moats because of long-term patent protection and pricing power for the new drugs they bring to market. For example, in the case of Alzheimer’s disease—a chronic neurodegenerative disease and the sixth leading cause of death in the US—recent data is emerging to support targeting of amyloid aggregates to reduce the disease burden for patients. Leaders in the field include Biogen and Japanese pharmaceutical company Eisai. These multinationals have a pipeline of drugs in development, which have the potential to revolutionise the disease management for the debilitating neurological disorders, says Morningstar director of equity strategy Damien Conover. While the threat of competition from generic manufacturers is everpresent, barriers to entry are high. Take Biogen for instance. It has a strong R&D strategy for maintaining its leadership in MS, where pricing power is strong, patient need for new therapies is high, and the pipeline has been particularly productive, says Morningstar sector strategist Karen Andersen. “These factors contribute to the firm’s wide moat. Returns on invested capital, which we think will average in the high teens during our 10-year explicit forecast period, easily exceed our 7.3 per cent estimate of Biogen’s cost of capital,” Andersen says. Another key name is US pharmaceutical giant Bristol-Myers Squibb, which makes prescription drugs and biologics for the treatment of psychiatric disorders, cancer, HIV/AIDS, heart disease, diabetes, hepatitis, and rheumatoid arthritis among others. 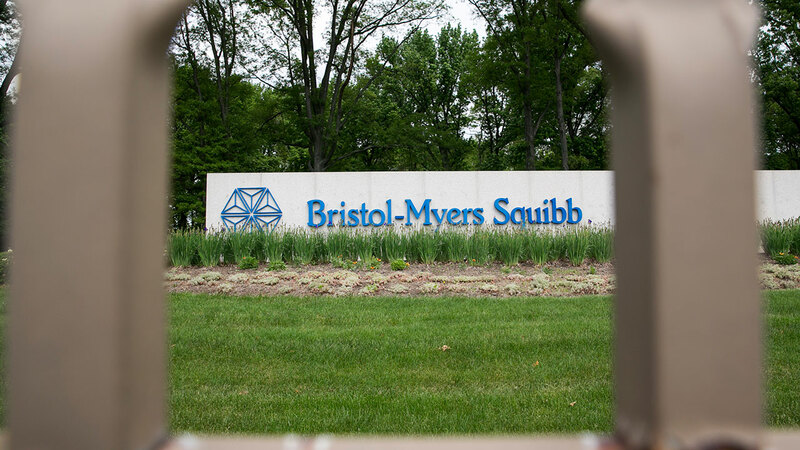 Bristol-Myers Squibb has built a strong portfolio of drugs and a robust pipeline. While the company faces continued generic pressures on virology drugs through 2018, we expect its next generation of drugs to fill the patent holes over the near term, supporting its wide moat and steady growth potential. Further, by selling off business lines unrelated to its core pharmaceutical strategy, the company has been streamlined to focus primarily on specialty pharmaceuticals. Bristol has created a strong pipeline and brought in partners, such as Pfizer, to share the development costs and diversify the risks of clinical and regulatory failure. The word “robot” is derived from the Slavic “robota”, which means “labour” or “work”. Not surprising then that robots are designed for doing the dull, repetitive or dangerous jobs that we humans generally seek to avoid—bomb disposal, anyone? From their humble origins in the second half of the 20th century, fully autonomous robots are now used in virtually every sphere of human activity. According to the International Federation of Robotics, up to 90 per cent of the world’s operational stock of industrial robots are installed in cyclical industries such as the automotive, electrical and electronics, metal and machinery, and chemical and plastics industries. Fanuc designs, manufactures, sells, and maintains factory automation-related products for automobile, electronic device, and machine tool manufacturers. 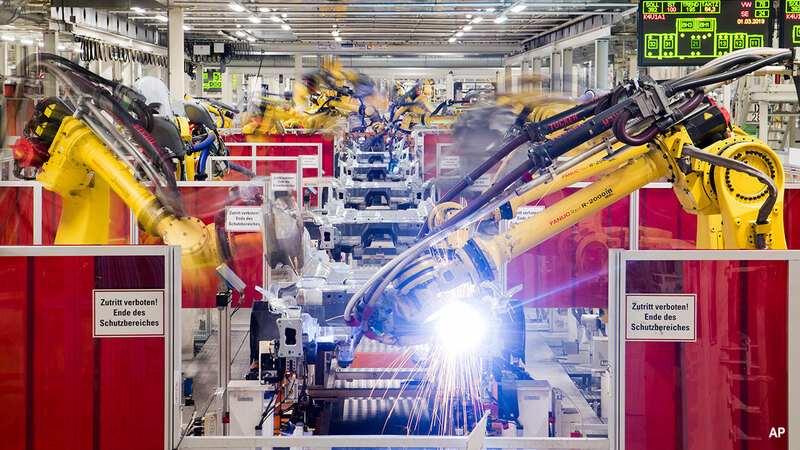 As the world’s largest computerised numerical control system and industrial robot manufacturer, with around 50 per cent and 20 per cent market share, respectively, Fanuc plays a critical role in manufacturing automation that new entrants cannot easily replicate. It has three major business lines: factory automation (mainly CNC systems), robots, and robomachine (mainly small machine centres). Fanuc remains decent value in 4-star territory at current prices although the uncertainty surrounding the trade friction and smartphone market could trigger some short-term volatility.